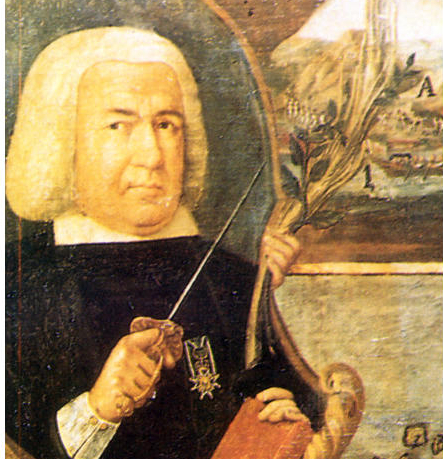 On October 28, 1701, Simon de Anda y Salazar, the Spanish governor general who sent a letter to the King of Spain complaining about the irregularities committed by the friars in the Philippines, was born. De Anda, who ruled the Philippines from October 6, 1762 to March 17, 1764, and again from July 1770 to October 30, 1776, was also the Spanish governor during the British occupation of Manila. He engaged in negotiations with the British (1763 to 1764) and received the governor's position when the British withdrew in April of 1764 in accordance with the Treaty of Paris of 1763. During his second term as governor general of the Philippines from July 1770 to October 30, 1776, De Anda continued reforming the army and engaging in public works, although confronted with problems with the Moros who never stopped from causing troubles during his governorship. He also opposed the king's order of November 9, 1774 to secularize the curacies held by regulars, and had the order repealed on December 11, 1776. De Anda died on October 30, 1776, in Cavite at the age of 76. A monument to his legacy was erected on Bonifacio Drive in Port Area, Manila. The municipalities of San Simon in Pampanga, Anda in Bohol and Anda in Pangasinan were also named in his honor.